Heinrich Klaasen wins the Man of the Match for his destructive 30-ball 69! Klaasen: Pretty special, especially at my home ground, something I didn't dream of as a young kid. (On reverse sweeps) I won't say its a keeper thing, but you got to put the bowler under pressure, and show your skills. I feel comfortably with the way my game is right now. Im enjoying my cricket for a year and a half now. South Africa win by six wickets! FIFTY for Manish Pandey — his second in T20Is! Takes 33 deliveries to get to the milestone! Pitch report: This pitch hasn't got that sheen. With overcast conditions, it may swing. There is a bit of grass cover but it is all brown and the ball should come onto the bat. Think it is a good T20 wicket, will carry a bit early on but it will flatten out after that, says Shaun Pollock at the inspection. "We would have liked to bowl first with the weather around," says India captain Virat Kohli. One forced change: Bumrah isn't exactly in the best of health, and Thakur replaces him. IND XI: Rohit Sharma, Shikhar Dhawan, Suresh Raina, Virat Kohli (c), Manish Pandey, MS Dhoni (wk), Hardik Pandya, Bhuvneshwar Kumar, Jaydev Unadkat, Shardul Thakur, Yuzvendra Chahal. "Will be a pretty even surface, so we think we can get a couple of early wickets," says SA skipper JP Duminy, who adds that his team is treating this game as well as the third T20I at Cape Town as a semi-final and a final respectively. South Africa are playing the same team as the first T20I. TOSS: South Africa win the toss, and captain JP Duminy opts to field first again. That brings us to the end of today's coverage. JP Duminy said that South Africa were treating this game as a semi-final and guess what we have a mouth-watering final waiting for us now at Newlands, Cape Town. The third T20I - the last game of the tour - will be played on Saturday. The match starts at 9.30 PM IST. Do join us for that clash. Until then, it's time to say good bye. JP Duminy, South Africa captain: At the toss we spoke about this being a semi-final and taking the series to Cape Town. The way we started with the ball was exceptional. They gained momentum with the last five overs but our batsmen showed composure. Pretty easy win in the end. We tried our utmost to keep with the DLS system. In the end, it worked in our favour because it gave us the freedom. Virat Kohli, India captain: It was a tough one for the bowlers. I think we were looking for 175 but Raina and Pandey batted well and then Pandey and MS. It was a hard day for the bowlers, they tried their best. But Klaasen and Duminy batted well. (On how the umpires didn't stop the game despite constant drizzle) It was good from the spectators' point of view. Once the game was continued in the first innings, we knew it would in the second too. There was constant drizzle but wasn't drastic at any stage. They deserved to win. Nicely set up (for the third T20I). We expect them to come out with hard performances. Well, that was some beating Indian bowlers took. What a whirlwind knock from Klaasen and well judged innings by Duminy. But they have to shrug it off for this series lives until the last day. 1-1 in the T20Is with the final game to go... India will have to raise their intensity one last time. Behardien pulls the ball towards the leg side for a double, with keeper Dhoni trying to slap the ball onto the striker's stumps in vain. ide off the next, with Behardien setting off for a single off the second legal delivery. That is before Duminy finishes things off in style with two mighty hits — the second one disappearing high into the stands over long-on to bring the 2nd T20I to an end! South Africa win by six wickets, as the series heads to a decider at Cape Town! Unadkat to bowl the penultimate over of the South African innings. The Proteas need 16 off the last 12 balls. Thakur bowls his final over. Duminy pulls the ball towards deep square-leg, where Pandya cuts the ball off with a slide. Behardien runs the ball towards fine-leg for a double off the next ball. Duminy goes aerial towards sweeper cover, where the ball lands just short of Bhuvneshwar. Duminy gets an inside-edge off the last delivery, with the ball running away to the fine-leg fence for a four, bringing up Duminy's fifty. 10 off the over. Thakur brought back one last time in this match in the 18th over. Bhuvneshwar returns to the attack. Duminy collects a double off the first ball, before bringing Behardien back on strike with a single off the next delivery. Duminy guides the ball down the ground for a double off the fourth delivery. Dot off a bouncer off the penultimate delivery, with the SA captain collecting a single off the last ball. Seven off the over. The hosts need 26 off the last three overs. Bhuvneshwar Kumar brought back into the attack in the 17th over of the innings. Chahal is brought back for his final over, and Duminy starts off by smacking the ball through the extra-cover region for a boundary. 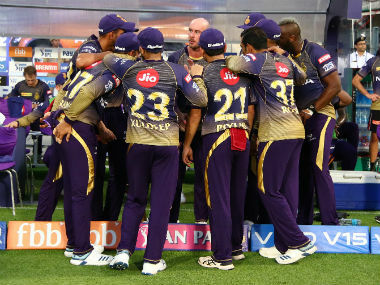 Stumping chance missed off the next ball as Duminy shuffles down the pitch, with Dhoni fumbling with the ball after it brushes past the batsman's thigh. Behardien gets on strike for the first time, and smacks the ball beyond midwicket for a six off just his second delivery. DROPPED! Behardien lobs the ball in the direction of the bowler, with the ball passing through his hands, and allowing the batsman a double. 13 off the over, as Chahal signs off with figures of 0/64. Yuzvendra Chahal has now conceded most runs (64) in a T20I match among Indians. The previous most was 57 by Joginder Sharma against England at Durban in 2007. Yuzvendra Chahal becomes the first Indian player to concede 50-plus runs on two different occasions in T20Is. 150 up for South Africa... their game to lose now... Chahal is back in the attack... brave call. India went to South Africa hoping to develop that rare breed; a batting all-rounder who bowls seam-up. Pandya's batting may not have grown as much as hoped but he has taken serious strides as a bowler. Chahal brought in one last time in the 16th over. Pandya is brought back for his final over, and keeps it relatively quiet for the first four deliveries, giving away five runs. Miller goes for a hook off a short ball, and ends up top-edging it in the direction of Thakur at fine-leg. Duminy collects a single off the last ball. Six runs and a wicket off the over, as Pandya signs off with figures of 1/31. Pandya brought back for his final over. India sniff a chance after the dismissal of Klaasen. Unadkat returns to the attack, and delivers straightaway as he gets Klaasen caught behind off the very first delivery of the over. The left-arm pacer keeps it tight in the remainder of the over, giving away just five runs. Fine over from Unadkat against the run of play. Klaasen gone now... Unadkat with the breakthrough... Could there be another dramatic turn? Jaydev Unadkat brought back into the attack in the 14th over. It's now or never for the visitors. 23 runs conceded by Chahal off his third over — it's almost as if Klaasen and Duminy are punishing him for all the torment that he and Kuldeep had caused in the ODI series. Klaasen smashes back-to-back sixes off the first two balls, before reverse-paddling the next ball over short third man for a four. Duminy joins the act with a slog over the midwicket fence for his first six. Absolute carnage... 23 off Chahal and the game has turned South Africa's way. Heinrich Klaasen's fifty from 22 balls today is the fastest by a South African player against India in T20Is. The previous fastest was in 24 balls by Morne van Wyk at Durban in 2011. Duminy collects a single at the start of the 12th over as Pandya returns to the attack. Klaasen hooks a short one from Pandya off the next delivery to collect his second boundary, and more importantly bring up his first-ever half-century in international cricket in style! Eight off the over, including a quick double off the last delivery by the SA captain. Pandya brought back into the attack in the 12th over of the innings. 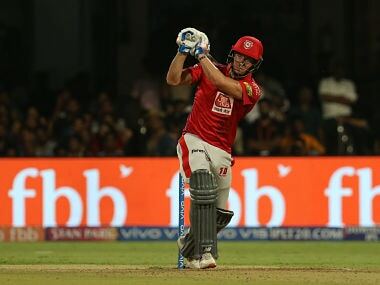 Chahal is brought back into the attack in the 11th over of the innings, with Klaasen continuing his destructiveness as he smashes two sixes off it — the first one bringing up the fifty-stand, with the second one coming off a reverse-sweep. Duminy collects a single off the last delivery to bring up the 100 for SA. The Proteas need another 89 to win off the last 9 overs. Meanwhile, the drizzle seems to have stopped at the SuperSport Park. Chahal brought back for the 11th over. India desperately need a wicket now. Big appeal for caught-behind off the second delivery, with Duminy getting cramped for room, this the noise was that of the ball brushing past his pad. Singles exchanged between Duminy and Klaasen off the next two deliveries, with Klaasen getting a thick inside-edge towards short fine-leg off the fourth delivery. Four off the over. The Proteas very much are in the chase at the halfway mark in their innings. 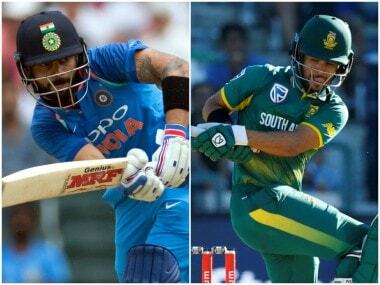 India vs South Africa, 2nd T20I in Centurion, latest update: Behardien pulls the ball towards the leg side for a double, with keeper Dhoni trying to slap the ball onto the striker's stumps in vain. ide off the next, with Behardien setting off for a single off the second legal delivery. That is before Duminy finishes things off in style with two mighty hits — the second one disappearing high into the stands over long-on to bring the 2nd T20I to an end! South Africa win by six wickets, as the series heads to a decider at Cape Town! Preview: After a comprehensive victory in the first Twenty20 International, India will aim to seal the three-match series when they take on South Africa in the second match here at the SuperSport Park on Wednesday. The Virat Kohli-led India will hope to repeat the performance but with middle-order batsmen also playing their part this time. 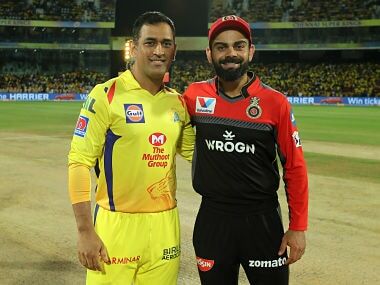 In the last match, Manish Pandey, Mahendra Singh Dhoni and Hardik Pandya failed to provide the expected final flourish. Pandey struggled to score big, scoring 29 not out in 27 deliveries. 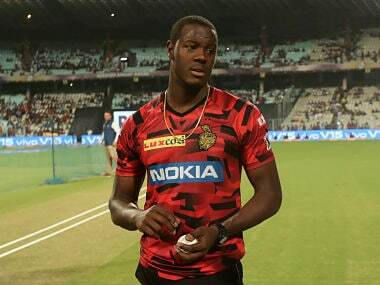 It will be interesting to see whether the Karnataka right-hander gets another chance. 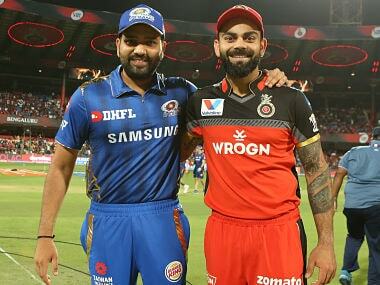 In the batting department, alongside skipper Kohli, batsmen Rohit Sharma, Dhawan, Dhoni and Pandya will look to make the most of their capabilities this time also. Batsman Suresh Raina, who made a comeback in the T20Is will act as an vital cog in the middle-order and will look to prove his mettle after his seven balls 15 runs in the first match.